Well, the weather’s not all that cold, but the rain’s started up – time for something like this Fred Perry nylon bomber jacket. Yes, this is a classic FP bomber, but in nylon rather than cotton – making it shower-proof and very autumn-friendly. 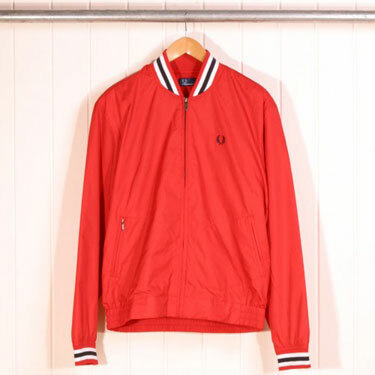 In terms of detailing, it has red, white and navy collar and cuffs, with two zip pockets, an elasticated hem and Fred Perry logo. And it’s yours for £79. 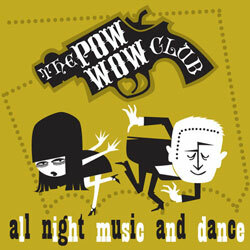 If you missed the last one, you can check out the next Pow Wow Club on Saturday November 15th 2008. It runs from 9pm until 4am at Penelopes, 53-55 Arundal Gate, Sheffield, S1 6PN, with DJs Mikey Collins, Mik Parry, Gav Arno and Callum Simpson spinning R&B, soul and hip 60s mod sounds. There’s also a daytime session at the Washington pub from 1pm with DJs and dancefloor. Entry the night event is £6 – if you want to know more, check out the full details on the forums. If you love your freakbeat – or just love a good rock yarn – you might want to check out the screening of the Jesse Hector documentary A Message To The World. 60s pioneer Hector now makes a living as a cleaner at the Hackney Empire – a million miles away from his work with 60s freakbeat outfit The Clique, proto-punk bruisers Crushed Butler and The Hammersmith Gorillas. This documentary follows him on a journey around London, retracing his fifty years in rock n’ roll, right back to the early days skiffling at the 2 I’s in Old Compton Street at the age of just 12 through to the role he had in shaping punk – and the influence he had on the likes of Paul Weller, Billy Idol, Shane McGowan and Rat Scabies. 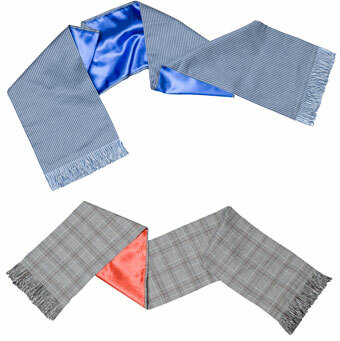 I would say a cheap alternative to the Tootal scarf – but these Ikon retro scarves are actually more expensive! For your money you get a scarf that’s handmade in England in a choice of three designs – Prince, Steve and Ferdie (two of which are pictured above), mixing a patterned design with a plain contrast reverse. No word on what the scarves are made of, but if you like the look, you can bag one for £35. 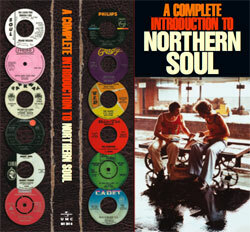 The title of this new boxset from Universal just about sums it up – A Complete Introduction to Northern Soul. Compiled by Wigan Casino DJ Russ Winstanley, it’s a four-disc set, each with its own theme – Motown Memories, Motown’s Hidden Nuggets, Northern Floorshakers and Northern Anthems. For the serious collector, there’s probably little new – although some tracks have made it out of the Motown archives for the first time. But for the less obsessive, it promises a mix of dancefloor staples and rare gems from the 60s to the present day – yes, even Frank Popp makes an appearance. We’ll be running a competition soon to win a signed box, as well as offering tickets to the invite-only November launch party at the 100 Club (in association with Fred Perry). Keep an eye out for that. In the meantime, check out the full tracklisting over the page.